Little did Jack Clauson realize as he was digging a grave in Clairton, Iowa that he was digging his own grave. This sixty-year-old Evergreen Cemetery worker was shoveling dirt out of a grave into a box to be hauled away, when the side of the box collapsed. The dirt crashed back into the grave, burying Clauson. Before he could be rescued, he died of suffocation. He literally had dug his own grave. This fatal accident is a serious reminder of the the warning from (IV Kings 20:1), "Thus saith the Lord God: Give charge concerning thy house, for thou shalt die, and not live." In other words....”Get thy house in order because you going to die!” This was the warning of God to King Ezechias. Ezechias had ruled his people long and well. Under God’s intervention, he had led them to a great victory over Assyria in one of Israel’s bloodiest wars. He had made great alliances with mighty foreign powers of his day. This great king had administered one of the richest kingdoms in Israel’s history. But there came to him the call from God that we all get, “Thou shalt die." Although death was postponed, it was going to happen sooner then later, and preparation was commanded. God has given each and every one of us the same warning. You shall die! You had better get ready! In America today over 2,600* people will die! Over 92** will die on the highways. 105*** will commit suicide. Even as you read this devotion, approximately one hundred people will die while you are reading this devotion! The history of the human race is the history of a dying race. "Wherefore as by one man sin entered into this world, and by sin death; and so death passed upon all men, in whom all have sinned." (Romans 5:12). God in one sweep of Scripture gives us the whys and wherefores of death—. Adam’s disobedience to God’s Word brought the seeds of sin and death into the bloodstream of the whole human race. Moses sums up the history of the human race in Genesis chapter five: "…and he died." Yes, Adam lived 930 years, "and he DIED." His son Seth lived 912 years, "and he DIED." Enos lived 905 years, "and he DIED." Methuselah lived 969 years (longer than any other of these, and longer than anyone since), "and he DIED." When the Holy Ghost penned the biographies of the kings of Israel and Judah, He vividly used these or similar words in nearly every account: "And he slept with his fathers, and his son reigned in his stead." Americans today say, "Two things are sure— death and taxes." The Arabs have a proverb, "Death is a black camel that, sooner or later, will come to kneel at every gate." Scripture tells us that "And as it is appointed unto men once to die, and after this the judgment:" (Hebrews 9:27). Death is inevitable! You cannot, you will not, escape it. You may be like Harry Cove, a Lansing, Michigan businessman, who could boast that he had cheated death 172 times. Harry Cove had earned the title of "the world’s most revived man," because the Lansing fire department’s emergency team had raced to his home and revived him 172 times following that number of heart attacks. But no longer will the fire department’s dispatcher call out the familiar cry, "It’s Harry again!" Mr. Cove is dead! Yes, you may brush your teeth twice a day with a nationally known toothpaste; you may see your doctor twice a year; you may wear your gleoshes when it rains; you may get eight hours of sleep every night; you may never smoke, drink, chew or hang out with people that do, or lose your temper; you may be set to live to be one hundred; but "It is not in man' s power to stop the spirit, neither hath he power in the day of death,"(Ecclesiastes 8:8). Scripture warns that you have an inevitable appointment with death, so you had better get ready. You shall die! Get ready, for death is unpredictable in its time! "Boast not for tomorrow, for thou knowest not what the day to come may bring forth." were the wise words of the king in Proverbs 27:1. Who does know? We know now how to stop the plague of polio. 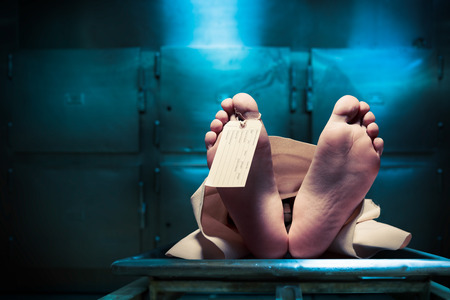 We know now how to transplant organs of the dead into the living. But we know no more than Job did centuries ago when, speaking of man, he cried out, "The days of man are short, and the number of his months is with thee: thou hast appointed his bounds which cannot be passed. " (Job 14:5). Like Job, we do not know the number of months, days or hours until God will summon us into death and eternity. But Job knew that you had better get ready. There is just the stroke of the clock between you and death. No man knows that hour. Surely Raymond Eastman did no’t. This young Des Moines advertising man wrote a widely quoted article, "Ten Seconds to Live," an imaginary study of the thoughts of a motorist about to be killed in an accident. Ironically, Eastman died in his car as it careened into a bridge, after "clipping" another car in an attempt to pass it. We can be sure he did not know when he stepped into his automobile that day that he was stepping into a hearse that would ride him into death and eternity. No one knows what Mr. Eastman’s thoughts were in the last ten seconds of this life; but we would assume that, after writing such an article for motorists, he would have been prepared for violent and lurking death on the highways. But what about you? Whether your on the highway, in the office, at school, on your bed—, who knows if you have ten conscious seconds left to get ready to die and meet God? Not only is there just a stroke between life and death, there is just a step between life and death. David, the anointed king (but a fugitive from King Saul), knew this and reminded his good friend, Jonathan, "But truly as the Lord liveth, and thy soul liveth, there is but one step (as I may say) between me and death." (First Book Of Kings [1 Samuel] 20:3). David knew that death was lurking everywhere. In the night, in the caves, in the forest, death was just a step away. Any step might bring him into the view of an archer with an arrow that had his name on it. Any step might bring him into the range of a swordsman, or into the enemy camp or trap, where there would be no escape. Death is just a step away from you as well. It may not be the same step David feared. And it may not be the step of a Flint, Michigan factory worker who was driven to work by his wife. As he got out of the car, he reached through the open car window to give his wife a good-bye kiss, and then stepped back one step into the path of a swerving car— and death. But you are just a step away from death and eternity. (Acts 3:19) "Be penitent, (repent) therefore, and be converted (turn back or change your mind), that your sins may be blotted out." (Acts 2:38) "Do penance, and be baptized every one of you in the name of Jesus Christ, for the remission of your sins"
This is only the first steps in getting ready for death. Being willing to be under the authority of Jesus and His Holy Church. But if you continue in you doing things your own way and living your life with out the Lordship of Jesus your steps will take you to death and Hell. You had better get ready, don’'t you see? You shall die! You had better get ready because death is terrible in its visitation. "Thou fool!" These were the midnight, silence-breaking words of the Lord to a man who was visited by death. This man had an overflowing harvest and barns that were bursting. He had thought to himself, "And I will say to my soul: Soul, thou hast much goods laid up for many years take thy rest; eat, drink, make good cheer." But God said to him, "Thou fool, this night do they require thy soul of thee: and whose shall those things be which thou hast provided?" “Fools”! This is the language of scripture. Fools recorded in the Bible were not ignoramuses nor people with "upstairs apartments to rent," but individuals who did not exercise their God-given sense in the light of eternal issues. God charges the so-called atheist with being a fool: "The fool hath said in his heart: There is no God, " (Psalms. 13:1). God declares you to be fools who mock (or laugh) at sin (Prov. 13:9). Again we see the folly of fools— individuals who are "slow of heart to believe in all things which the prophets have spoken." (Luke 24:25). We call the So call Teachers, Preachers and Popes, Bishops and Priests who will not believe God'’s Word and cut out everything that is not "logical" and "reasonable" in their eyes, modernists. God calls them fools. This rich man in the book of St. Luke was a fool. He had made plans to retire, rest and relax. He had worked hard. He had endured burning sun and drenching rains. He had made his fortune. He, no doubt, had insured his barns, his livestock, his home, his life and his family. But he had not insured his soul. He had gotten ready to live, but he had not made preparations to die. Now it was time to rest, he told his soul. But God said, "No, it is time to die." That night the Angel of Death knocked at his door. The cold winds of Death darkened the room. That night the long claws of Death cast a soul into eternity. The next morning the family found their loved one dead. I trust this will not be your biography too. I pray you will give earnest heed to the things you have heard, and not let them slip. I pray that at some midnight hour, or on some blood-splattered highway, or in some emergency room; or that in rejection of Christ, which well may be your very last, final and fatal rejection, you will not have to cry out with another doomed for death and bound for Hell, "I have done foolishly, and have been ignorant in very many things." (First Book Of Kings [1 Samuel] ). You shall die! You had better get ready because death to an unsaved soul is final in its separation. Death separates the unsaved from their loved ones forever. In 1945 a distinguished woman died in Washington, D.C. She had been an authority on genealogy and had written books to trace the lineage of well-known persons through the centuries. She belonged to many exclusive groups, including the Daughters of the American Revolution, the Colonial Dames, Dames of Magna Charta, the Society of Mayflower Descendants, the Woman’s National Press Club, and others. When the undertaker arrived at her home, twenty cats trailed him about the place, until, to his horror, he came upon a hidden niche with a casket in which reposed the remains of the distinguished woman’s dead mother. For thirty-three years this social figure had evaded a law which requires burial of dead bodies, and had spent long hours gazing at the mummified remains of her mother through a small window in the hermetically sealed mahogany coffin, which had on the nameplate a death date —March 13, 1912. This socialite club-woman, authoress and authority on genealogy was afraid of the separation that death brings. How different it is for a Catholic. Who has prepared for death during life. Yes, they may have sometime in Purgatory. But God in scripture says there is weeping in the night time but joy and gladness comes in the morning!” Heaven awaits that catholic who has prepared for death! "Again therefore Jesus said to them: I go, and you shall seek me, and you shall die in your sin. Whither I go, you cannot come. Therefore I said to you, that you shall die in your sins. For if you believe not that I am he, you shall die in your sin." Jesus warned it is either Heaven with Him or Hell without Him. You can’t ever go to Heaven if you die in your sins. Again, God’s Word declares in Psalm 9:18, "The wicked shall be turned into hell." "Then he shall say to them also that shall be on his left hand: Depart from me, you cursed, into everlasting fire which was prepared for the devil and his angels. And these shall go into everlasting punishment: but the just, into life everlasting. "— (Matthew 25:41,46). "And hell and death were cast into the pool of fire. This is the second death. And whosoever was not found written in the book of life, was cast into the pool of fire." Yes, when you die in your sins, it is Hell for you, and it is Hell forever. There is not a more detailed and graphic picture of a sinner’s death and doom in Hell than the message Jesus preached in Luke 16. A dead man in Hell— what a scene! Here is a man who cries, "I am tormented in this flame." Here is a man who realizes he has an unforgettable memory of invitations of a pleading Saviour that he rejected. Here is a man who sees his wicked life’s influence is bringing brothers, loved ones, to this land of torments. Here is a man who now has no hope. Proverbs 11:7 warns, "When the wicked man is dead, there shall be no hope any more: and the expectation of the solicitous shall perish. " Here is a man who found death to a sinner meant everlasting doom, everlasting death, everlasting Hell. You shall die! You had better get ready, because death in Hell is avoidable only with the right preparation. Our text warns us to get ready: "Thus saith the Lord, Give charge concerning thy house in other words “set your house in order for thou shalt die, and not live." Get ready!